So. You wanna cross stitch, but you're all like, "OMG WTF my hands can't do that!" Never fear! 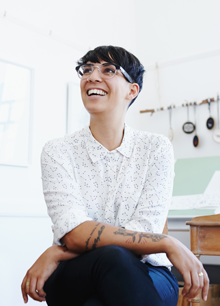 I'm here to give you a step by step workshop on how to go about doing this darn thing. 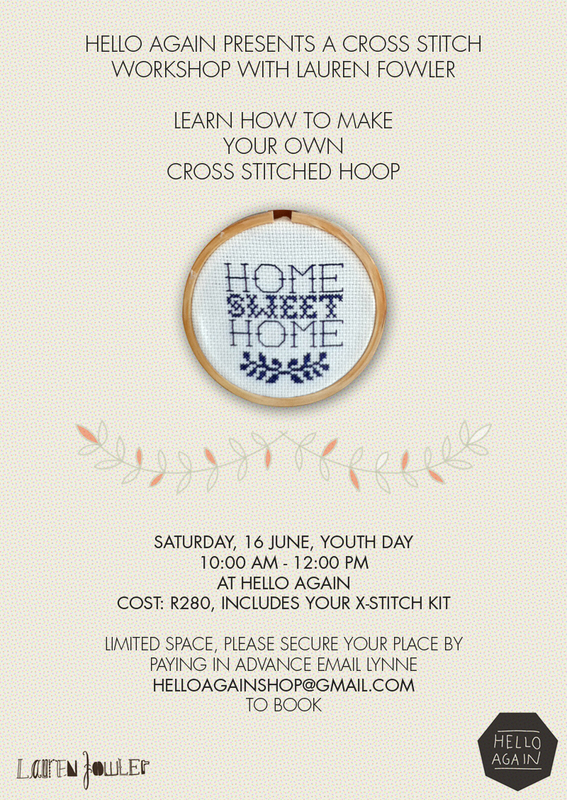 The workshop is on the 16 of June at the Hello Again shop on Long street. I'll be teaching you everything you need to know and you'll receive your very own kit for R280. All you need to bring is yourself, and some patience. There will be coffee and tea and chatting.